The title appears as one of seven that make up the section Hobo Songs. 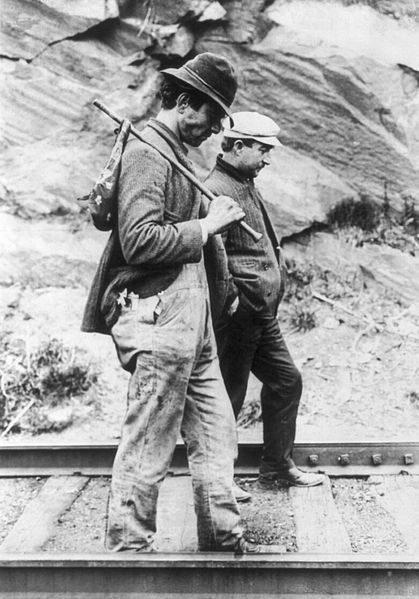 "Hobo" is the American term for a tramp or vagabond. The number of hobos greatly increased in the USA during the Great Depression in the 1930s, but Wanderin' precedes that time. Sandburg provides a musical arrangement for the song by Hazel Felman, together with two sets of verses. The first (A) is made up of three stanzas from the aforementioned Arthur Sutherland, and the second (B), of just two stanzas, is from Hubert Canfield of Pittsford, New York. I'm never gonna cease my wanderin'. I'm never gonna cease my wanderin’. And that is all that was written about Wanderin’. However, it seems to have been enough to have caught the interest of the man who was the first major star of Country music, Vernon Dalhart.